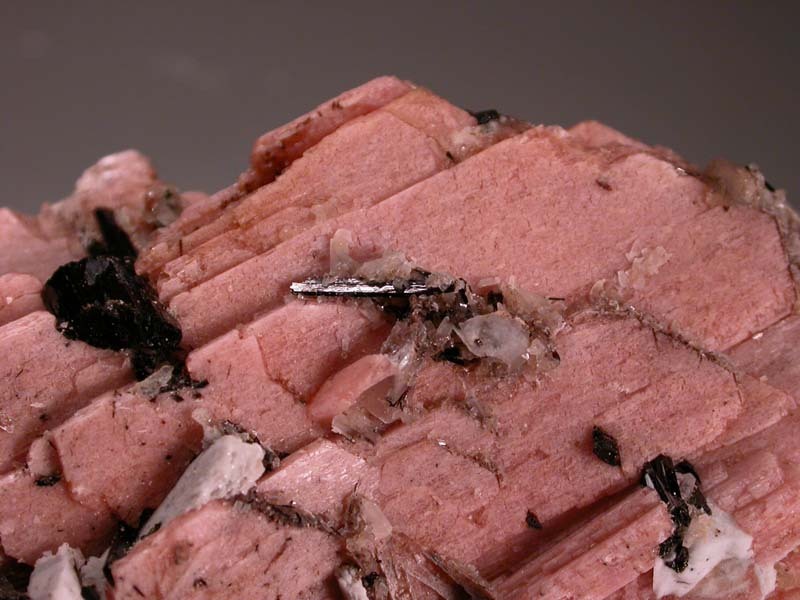 Here is a serandite crystal that is actually a group of slightly divergent crystals, as we often see in serandite. 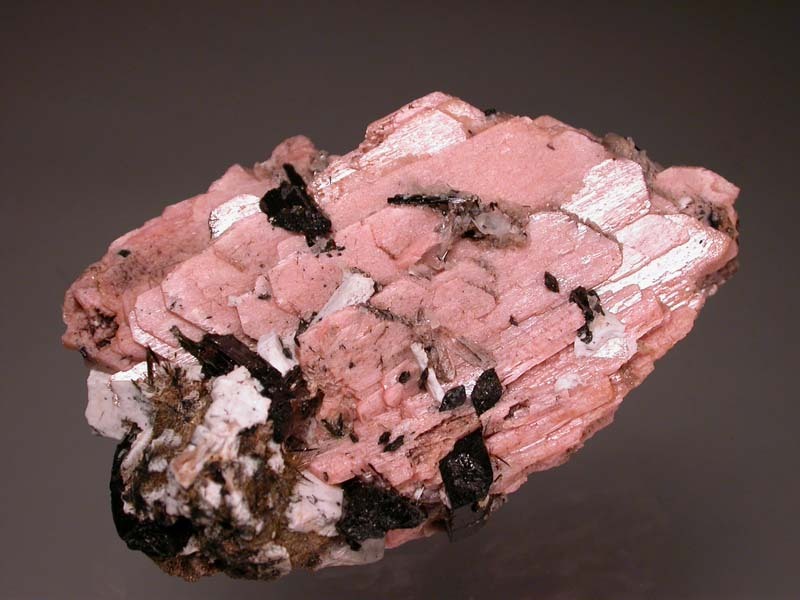 It is doubly terminated and intergrown with aegirine crystals with some natrolite and microcline attached. It is very complet on all sides except the bottom, where it was attached. 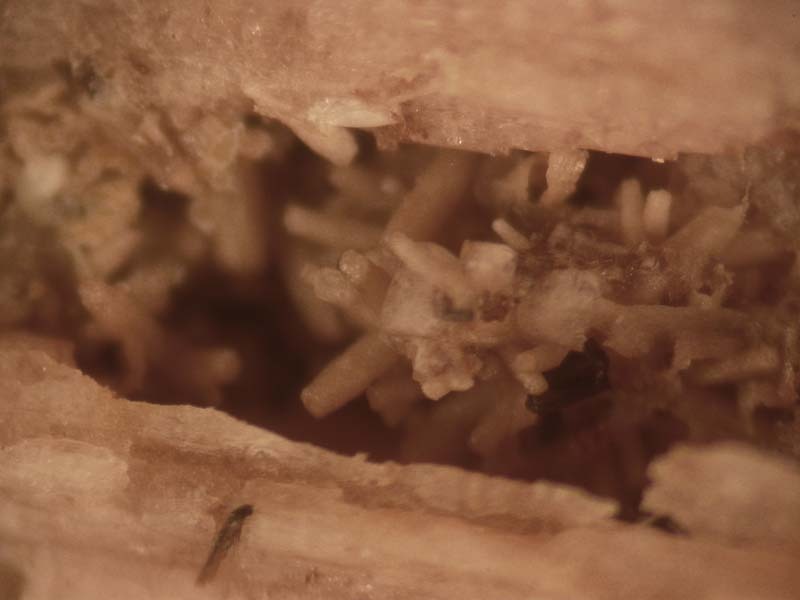 Where the crystals sectioned on the bottom or open due to natural etching, on other sides, the openings are lined with rhabdophane (like the poor-coloured microphoto) and natrolite crystals on serandite crystal faces. They don't come around like this very often!